Feel free to see the below enterprise organizational charts of service industry. All of these types of enterprise organization charts help you generate organizational structures more transparently. Click on any of these templates to download for free. 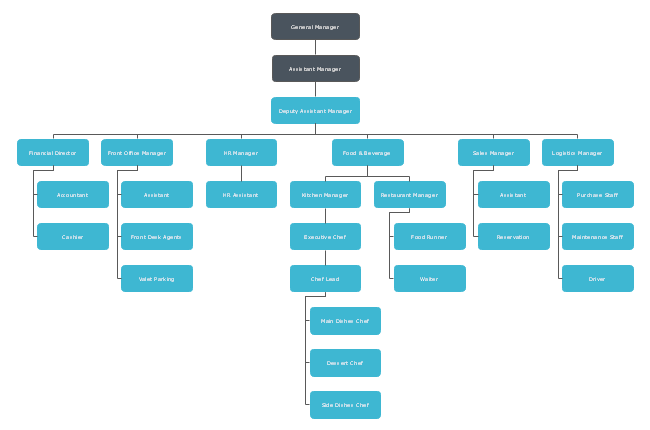 This org chart template here displays a typical style of hotel organizational structure. All of the essential departments and roles, such as resurtant managers, chef lead, food and beverage managers etc. are involved in this template. For an international hotel group, you can add more sub-departments. For a normal structure of an advanced technology firm, like the template below, a number of specific product teams and value streams are included. Besides, an efficient research and development division is also key to the product success. 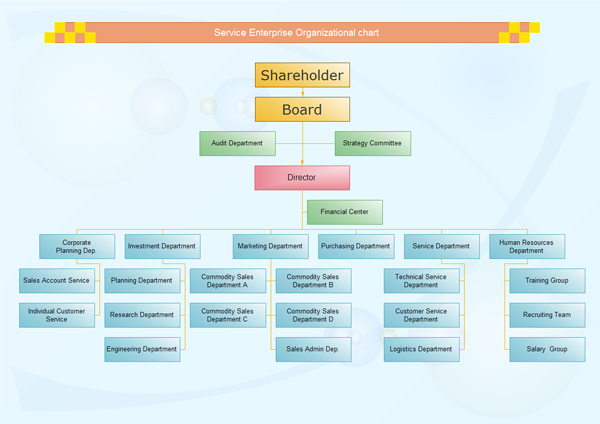 The organizational chart template here shows the normal type of service company structure. Basiclly, you can see a series of sub-departments along with the management level. 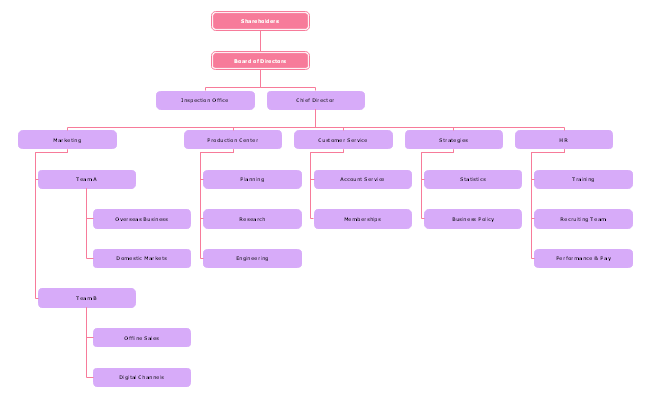 The following organizational chart examples includes trading enterprise organizational chart, service organization structure, retail organizational chart and manufacturing organizational chart.